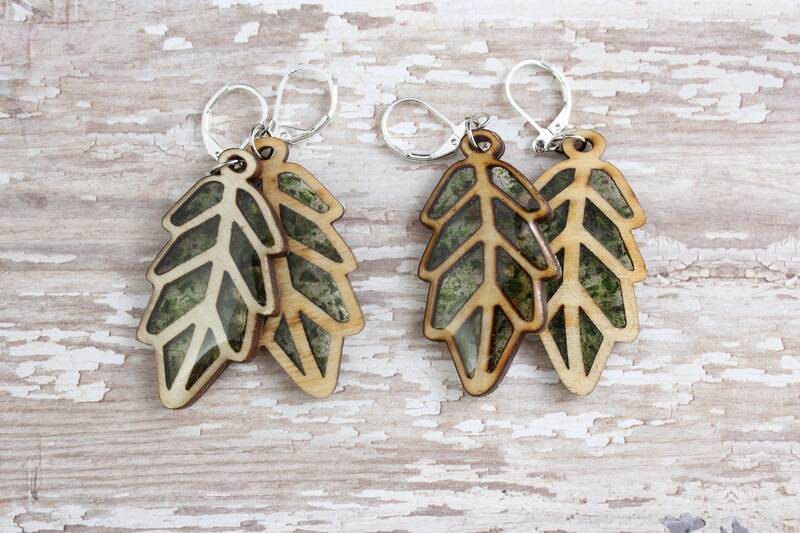 These wood and real moss earrings are like wearing a walk in the woods. 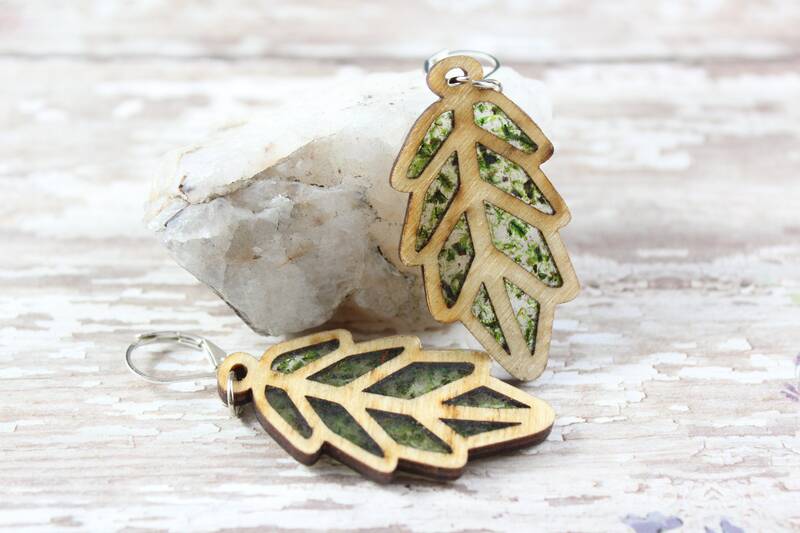 I have always loved the look of wooden earrings. 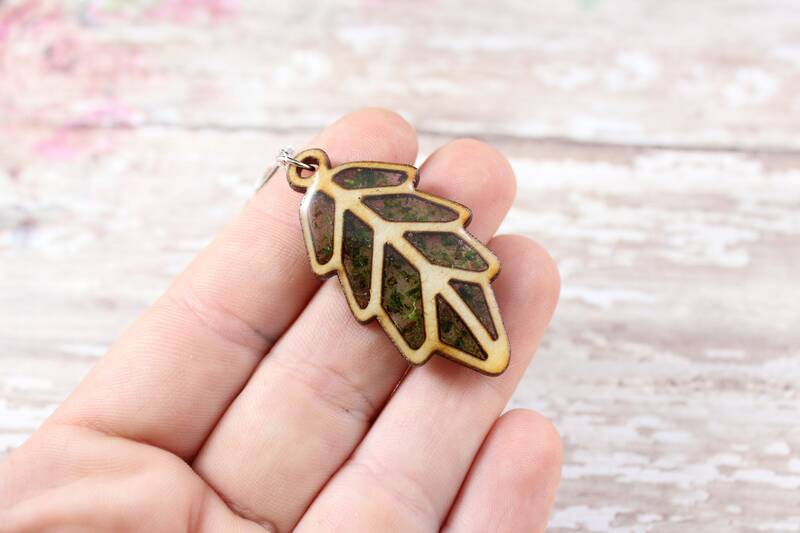 To make these unique I had a local graphic designers draw the leaf and then I filled it with a Bomb de Fleur touch of real moss. The final product makes a subtle stained glass effect. The wood is sealed and filled with epoxy resin. One side is matte finish and the other side has a gloss dome. Each earring measures 43mm x 23mm. Earring is on a sterling silver plated lever back hook. 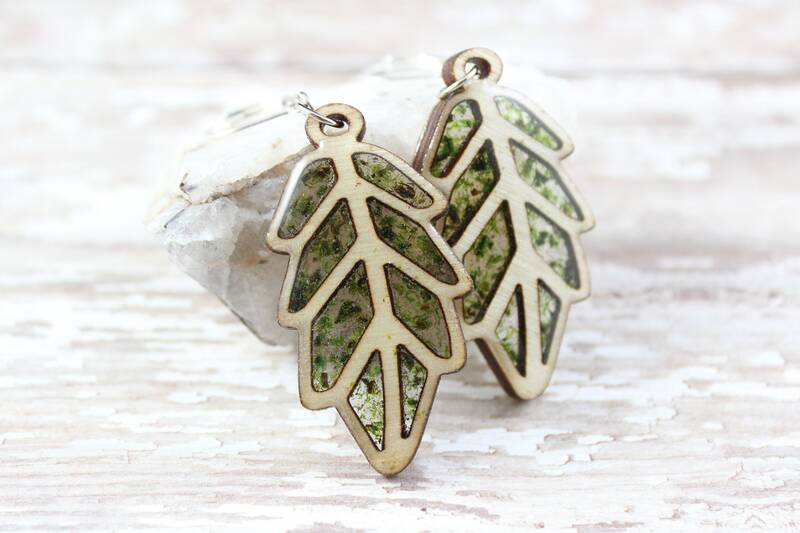 Be gentle with these earrings! Avoid contact with prolonged moisture and don't apply unnecessary pressure to the delicate wood. Earrings will come in a gift box ready for gift giving.